According to jail records, 30-year-old Tushar Rae was in Denver court Friday night on charges of felony menacing and false imprisonment. He was denied bond. DENVER — An Aurora West College Preparatory Academy dean accused of threatening school administrators and bringing a gun on campus is back in police custody after a Friday night court appearance in Denver. 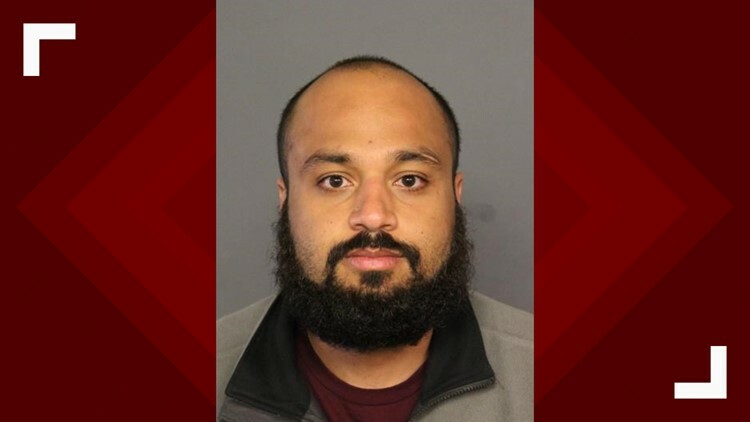 Tushar Aftab Rae, 30, posted a $200,000 bond Wednesday after being held on various charges related to an incident at Aurora West Prep from April 3. The most recent charge he is facing in that case is menacing, and his next court date is set for April 15. Jail records show Rae also had a court appearance late Friday night on charges of felony menacing and false imprisonment in Denver. He was denied bond in court. The details of Rae's most recent arrest are not yet known. A spokesperson for the Denver Police Department could not confirm if Rae's most recent arrest is related to the Aurora school case. Vikki Migoya with the 18th Judicial District Attorney's Office — the office overseeing Rae's Aurora Prep case — said the most recent arrest's court documents have been sealed. The arrest affidavit for Rae's previous arrest have been released. The affidavit says he got into an argument with Principal Taisiya Tselolikhin of Aurora West College Preparatory Academy, where he threatened to shoot the kneecaps off two school administrators and brought a gun onto school grounds. Officers were called and put the school on lockdown; Rae was not there. Denver police officers, who were notified of the incident at Aurora West, went to Rae's home and placed him under arrest, an affidavit says. The school sent three letters home to parents explaining the lockdown. In the third letter, the school's principal said, "One of our employees was arrested in Denver by the Denver Police Department after he allegedly threatened some of our staff members with a weapon." Corey Christiansen, a spokesperson for Aurora Public Schools, said district officials didn't know all the details of what happened until a day after the incident. He added that the district would not offer further comment on the ongoing situation. Earlier this week, Aurora West Prep's principal, Taisiya Tselolikhin was placed on administrative leave. The district would not comment publicly on the reason.